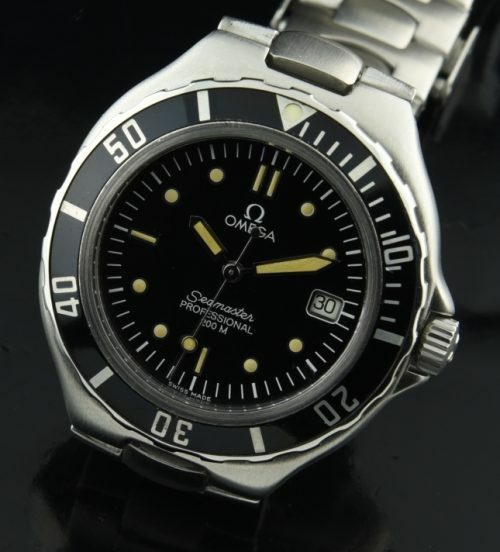 Home / Shop – Vintage Watches For Sale Used & Antique / Sold / Omega Seamaster Pro 200m. This is a hard to find and great looking 36mm. OMEGA SEAMSTER 200m. quartz (battery operated) watch circa 1990’s with a full length OMEGA steel bracelet having a locking diver’s clasp. The bracelet fits a full 7 3/4 inches. The OMEGA crown is signed and the crystal is sapphire. I love the vanilla lume on the pristine and beautifully laid out dial. This watch has a uni-directional turning bezel. The watch is keeping perfect time and essentially looks close to “like new” condition. 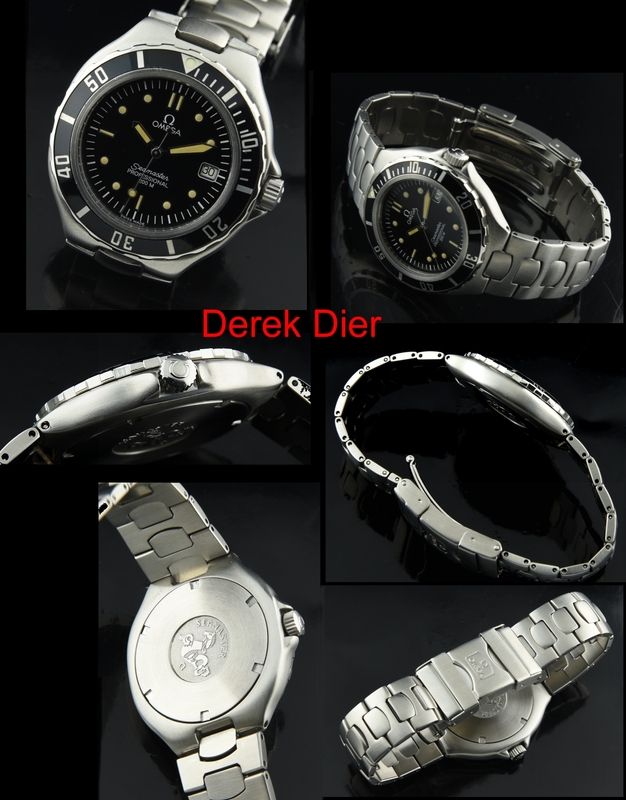 At only only $895, this will make a perfect OMEGA travel watch or daily wearer.